TGIF to all. 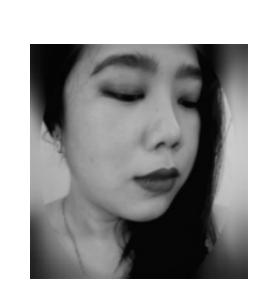 I'm continuing on with the beauty reviews and also on a roll posting new content. Yey! 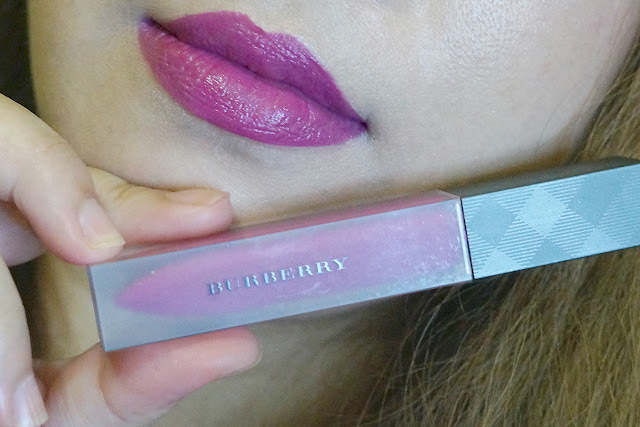 Today's review is another shade from the Burberry Liquid Lip Velvet line, Brilliant Violet. This color is one of my favorite lipstick because it's unique, very flattering on me and also feels great on the lips. Brilliant Violet No. 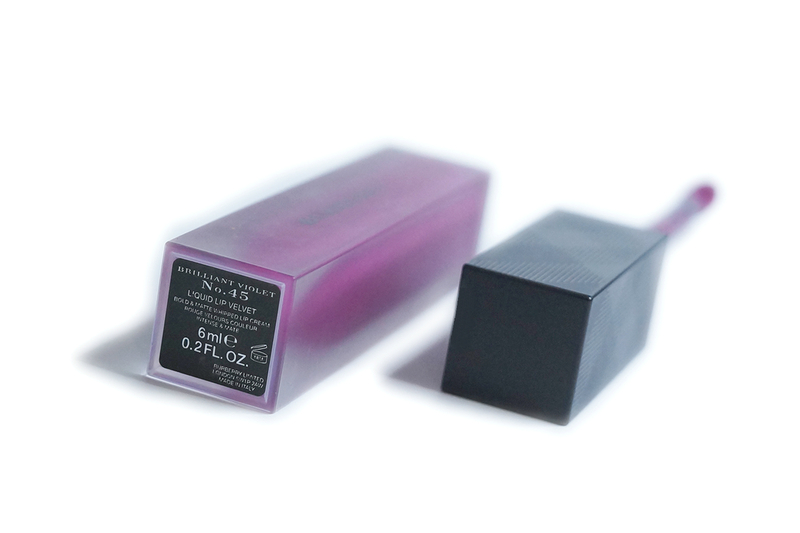 45 can be described as a bright medium-dark purple berry with blue undertones and a creamy matte finish. I usually don't wear purples but this is such a unique and beautiful color that I have found myself putting this on more often than I would have thought. 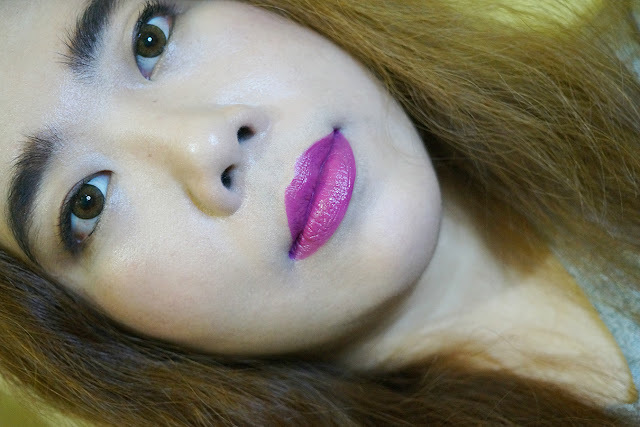 I like this shade even for casual, everyday wear - flattering yet not too bold. The pigmentation is superb and one swipe gives opaque overage. 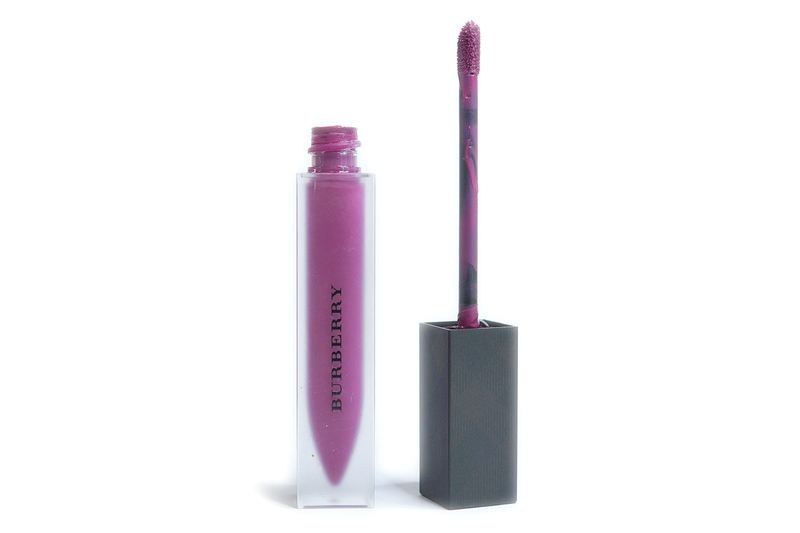 This has a creamy satin finish and does not completely dry down to a flat matte so you can expect some transfer. It does lose the shine and become more matte after a few hours of wear. 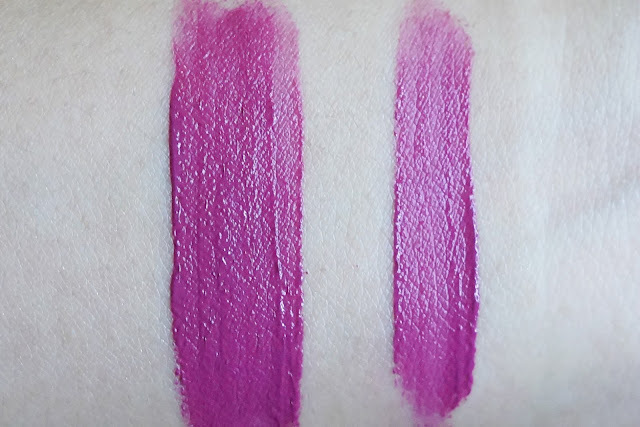 The unique whipped texture feels very light and comfortable on the lips. 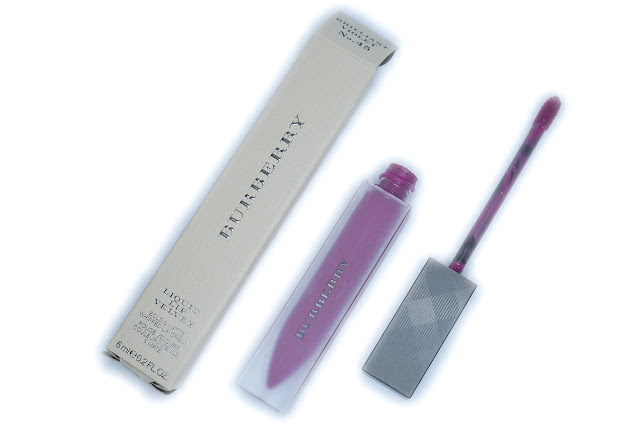 It applied evenly and smoothly and spread easily without any streaks. This lasted the full day (about 8 hours) and faded evenly and left a slight pinkish purple stain.